Maria Theocharidou specializes in Health, Safety and Environmental Management, with more than 10 years of experience in both, private and public sector. She is an accredited Health & Safety Surveyor by the department of Labour Inspection and a certified Trainer in occupational Health & Safety by the Human Resources Authority Cyprus. 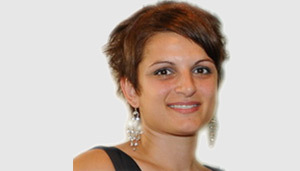 Maria Theocharidou holds a BSc in Chemistry, an MSc in Environmental Management and an International General Certificate NEBOSH on Health and Safety Management Systems. After graduation, she has worked to the highest level of the Semi-government and Private sector and participated in European Funded Programs. Moreover, she has successfully completed several Environmental Impact and Waste Management Assessments for both energy and construction projects. As an HSE Manager, Maria Theocharidou is responsible for preparing Risk Assessment, Environmental Impact Assessment and Health & Safety Surveying for a number of energy and commercial projects. Moreover, she is responsible for laboratory quality management (ISO 15189) for several laboratories in Cyprus.